The 2018 World Spa Awards will be hosted at the luxurious St. Regis Maldives Vommuli Resort located on a private island in the Maldives. The event will provide unrivalled networking opportunities welcoming spa and wellness hospitality leaders from around the world. Attire: Island chic – as the World Spa Awards Gala Ceremony will be staged in a Maldivian paradise beach setting, the dress code is relaxed cocktail wear. For exclusive accommodation rates at The St. Regis Maldives Vommuli Resort please contact [email protected] mentioning that you are booking for the 2018 World Spa Awards. The St. Regis Maldives Vommuli Resort will also assist with booking special discounted rates for seaplane transfers from Velana International Airport (Male). This ground-breaking beauty protocol combines a facial skincare ritual with mindfulness and virtual reality to relax your body and awaken your senses. A truly transformative wellness experience for body and mind. Complimentary 45min treatment for World Spa Awards attendees staying at The St. Regis Maldives Vommuli Resort. Bookings made with the spa team upon arrival/check-in on a first come first served basis. Complimentary treatment for World Spa Awards attendees staying at The St. Regis Maldives Vommuli Resort. Discover the power of aromatherapy to enhance your wellbeing. Meet the aromatherapy expert who helps you understand more about aromatherapy and how it helps improve wellbeing through interactive experience. Wellbeing tips will be shared to help balance your body, mind and soul. Open 9.30-13.30 and 15:00-17:30 on Friday 26th October. Guest to visit at leisure. For wellness and fitness activities on offer exclusively for World Spa Awards attendees please see here. Broadcaster, news anchor and journalist, Katie Fielder has enjoyed 14 years working in television in Australia and the UAE. Her credits include five years with Australia’s highest rated morning news show, and as a News Anchor for Dubai One’s Emirates News and Emirates 24/7. She has interviewed a number of distinguished guests including His Highness Sheikh Maktoum Hasher Al Maktoum, His Highness Sheikh Ahmed Bin Saeed Al Maktoum, as well as stars including Morgan Freeman, Colin Firth, Roger Federer and Michael Buble. She is an Ambassador for the Christina Noble Children’s Foundation, which is committed to alleviating child poverty and giving all children the right to a safe and happy childhood. 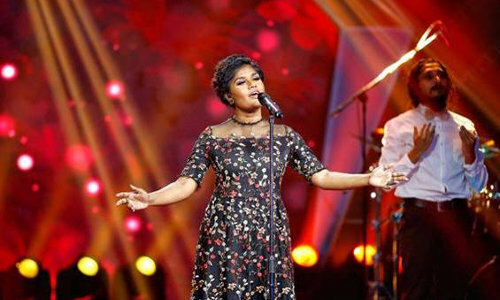 An inspiration on and off the stage Unoosha is well recognized as the leading performer and artist of the Maldives. Her repertoire includes a dedication to the beautiful islands of the Maldives, "Sunny Side of Life". We advise you to please check your specific visa requirements and ensure that should you need to obtain a visa, you apply for this prior to your travel to The Maldives.